Krakow once had a very vibrant Jewish Quarter where tens of thousands of Jews lived before the war. Now there are virtually none, as in many other Polish and European cities. 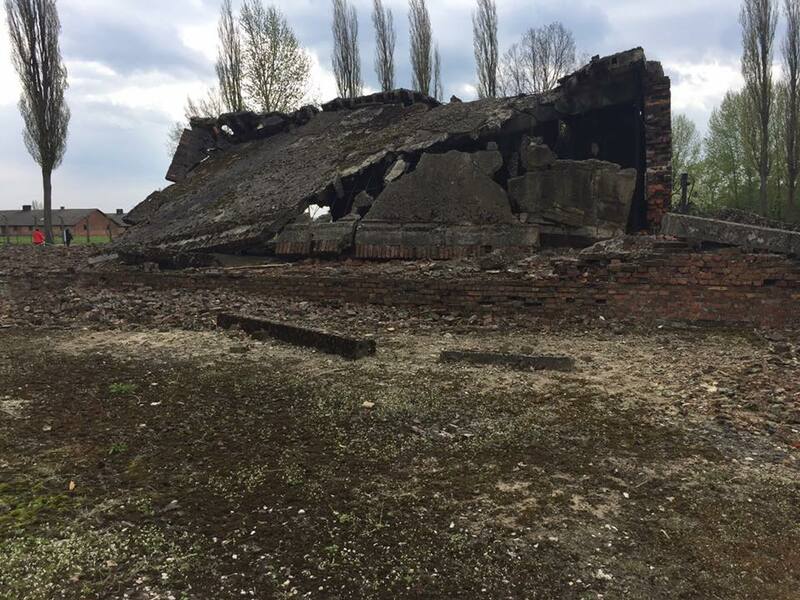 But their presence is very strongly felt: there are numerous synagogues within a few blocks of each other (this one shown here was used by the Nazis as a stable during the war), and remnants of places where they lived and owned businesses. That area of the city isn’t as renovated as other parts, although it does seem to be making a comeback. 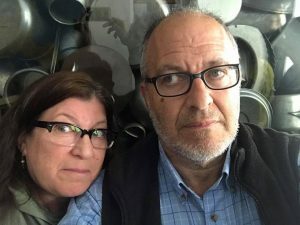 My sister and I visited Krakow in the spring of 2017. If you go, you can choose to tour the city independently (which we did) or join one of the numerous tour groups that walk you around the city (which you can easily tag along). Krakow is the home of Oskar Schindler’s actual metalworking factory and is now a museum. The factory which was featured so famously in the Speilberg movie is actually across the river from the original Jewish quarter. (BTW, Schindler had a second factory which is also being turned into a museum in what is now the Czech Republic). 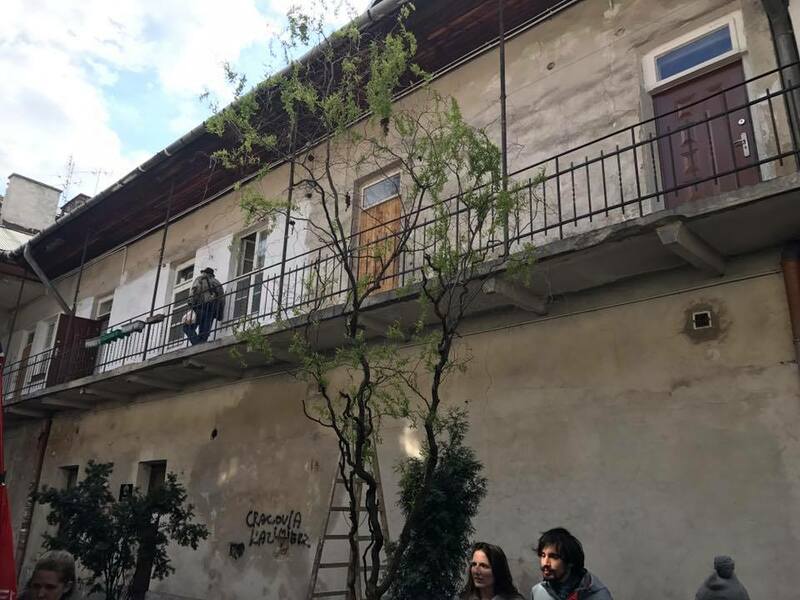 If you go to the Krakow Schindler museum, go early especially if you want to see the place and have time to go your own pace. The problem is that the rooms are small, and the crowds large. It is well worth the visit, well curated with lots to read and videos to watch. Be warned though that most of the place isn’t about Schindler, which I think is a good perspective. Instead, you see the progress of the war through Krakow and how they treated many of the residents subsequently. 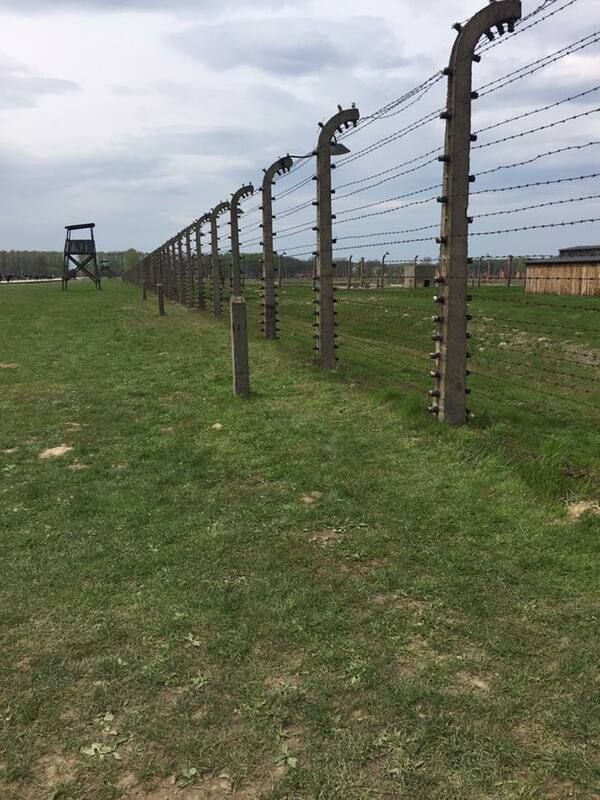 The exhibits document the original invasion of Krakow by the Nazis in the early part of WWII and how quickly they established control over the city and created the Jewish Ghetto. The number of artifacts from the wartime activities, the photos of both Polish and Germans involved, and street scenes was all overwhelming. I particularly liked the art projects that were created as contemplative spaces, and reminded me of the large Serra sculptures that put you inside of them. The couple of rooms that documented the life of Schindler are also interesting. What I learned is how he is a very complex person, that you may not have gotten the first time you read the book or saw the movie. Yes, he saved 1200 Jews and was honored for that later in life, well before the movie came out. (He died in the 1970s.) But he wasn’t saving Jews just because he had a soft spot for us: he wanted free labor and wanted the profits. Granted, he spent the vast majority of his firm’s profits on bribes to keep his workers alive later on in the war. He was also an entrepreneur but not a very good one. Almost all of his businesses eventually failed. He was a Nazi spy, joining the German intelligence agencies early on and spying against his fellow Czechs. He was arrested numerous times and barely managed to escape death himself. And he was a rogue, interested in wine, women and having a good time. But it turns out understanding Schindler is a good entry point to learn more about the wartime era and its complexities. Many people were semi-complicit in terms of outwardly supporting Nazi policies but personally affected by helping to save Jews. Many profited by the wartime business, only to donate vast sums of money to Jewish causes and reparations or philanthropy. It is important to see the shades of gray here. 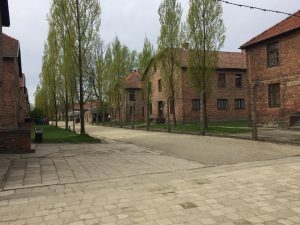 One tour guide told us that the Spielberg “Schindler’s List” movie (here is an alley that was used in the movie) was a big economic engine that began in the mid-1990s after the movie came out. While it has taken time for this development to get started it can be seen as a lot of construction is happening and the original Jewish Quarter of Krakow now has a solid bar/club scene which is always a sign that the neighborhood is on the way up. At the local flea market, one table was filled with Nazi memorabilia. Not sure if genuine or reproduction, but either way somewhat unsettling. If Krakow has any downside, it is because it attracts too many tourists and the infrastructure just can’t support the hordes. 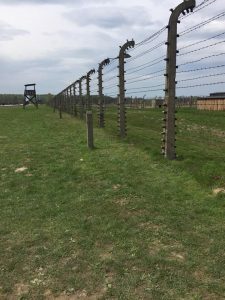 The vast majority of tourists come there as part of groups and so the big attractions, such as the salt mine, Schindler’s factory and Auschwitz have to cater to them, leaving little opportunity for independent travelers such as Carrie and me to get in and maneuver around them. I guess this is a good problem to have but it means if you want to see these sites you need to plan a lot further ahead than we did. My sister and I visited Bialystok, in NE Poland, as part of our discovery trip in the spring of 2017. Here is my report. Our grandfather’s family comes from a small town about 20 miles from there. Luckily for us, he left before the outbreak of WWII and raised his kids in America. I tried to find out more information about his town (Zambrow) and get someone to show us around, but I wasn’t successful. So going to Bialystok was the next best thing: the town of about 300k people is famous for two of its residents who were the inventors of Esperanto and the polio vaccine. 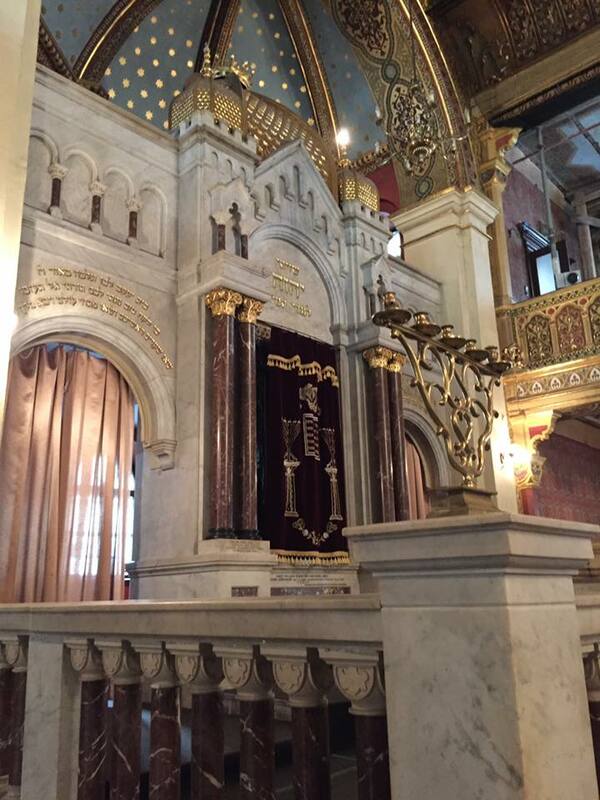 It has enough of a tourist infrastructure — but barely, especially for American Jewish tourists. More on that in a moment. It is a two hour train ride from Warsaw and the trains operate frequently, which is how we got there. But it is a study of conflict, and that is an interesting part of our trip and could be part of your own, should you decide to go there. It is absent of the big-ticket items of Warsaw and Krakow that attract thousands of tourists. But it also absent of many of the things that an American Jew would want to see from the wartime years: the city was heavily bombed and the Jewish districts pretty much obliterated. The city once had Jews for half of its population: now there are almost none. So the challenge of visiting someplace is understanding its history, and understanding the various layers of the city that you don’t see, along with the ones that are part of the modern fabric. Part of travel is discovering these new places and how they weave the old with the new. One of the reasons why I am drawn to Europe is that the old is very old, and the new is often very new. The contrasts are interesting. You see centuries-old structures next to new shopping malls and restaurants. Or renovations that incorporate both new and old in interesting and clever ways. Let’s take as one example the Great Synagogue in Bialystok. It was built in 1913, replacing another structure on that spot that dated from the 1770s. In 1941, the Germans entered the city, rounded up 700 Jews, and brought them there. They then fire bombed the place, killing everyone inside and destroying the building. Here is a picture of me standing inside a replica of what was left of one of the domes of the building. You can see me standing in a parking lot, surrounded by a set of apartment blocks that were built in the 1950s. It took us over an hour to find this memorial, even though we had all sorts of maps and brochures that mentioned it. And that is the conflict of Bialystok: yes, they did honor this terrible moment in their history. But it is almost an afterthought now, and that is sad and frustrating. Another former synagogue is now the HQ for the Esperanto society, which is somehow a fitting adaptive reuse. Their grand palace that was built in the 1700s was destroyed in the war, rebuilt in the 1950s by the Russians and is now their medical school. Again, somewhat appropriate reuse. But the difference is the palace is still palatial, and the grounds remind one of the grounds around many palaces, such as Versailles. The Great Synagogue was never rebuilt, and the memorial stands surrounded by parking spaces. 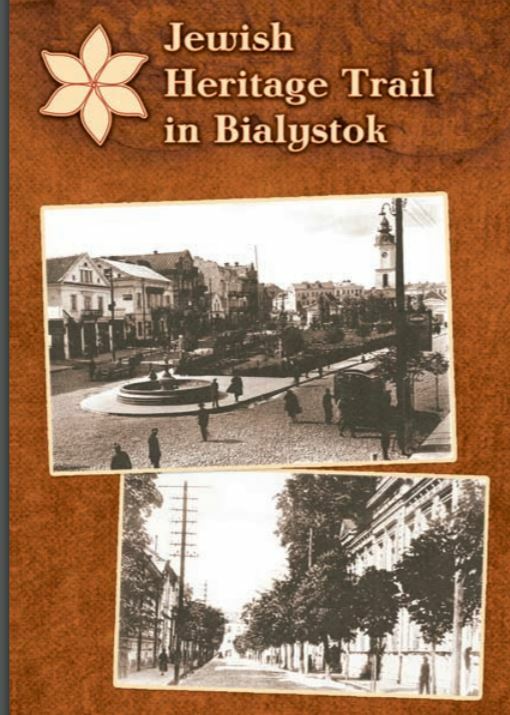 If you want to see more, here is a brochure for Jewish sites in and around Bialystok. But here is the problem: the brochure is several years old. Many of the sites mentioned in the guide don’t exist, have been significantly changed, because as I said there aren’t many Jews there now. 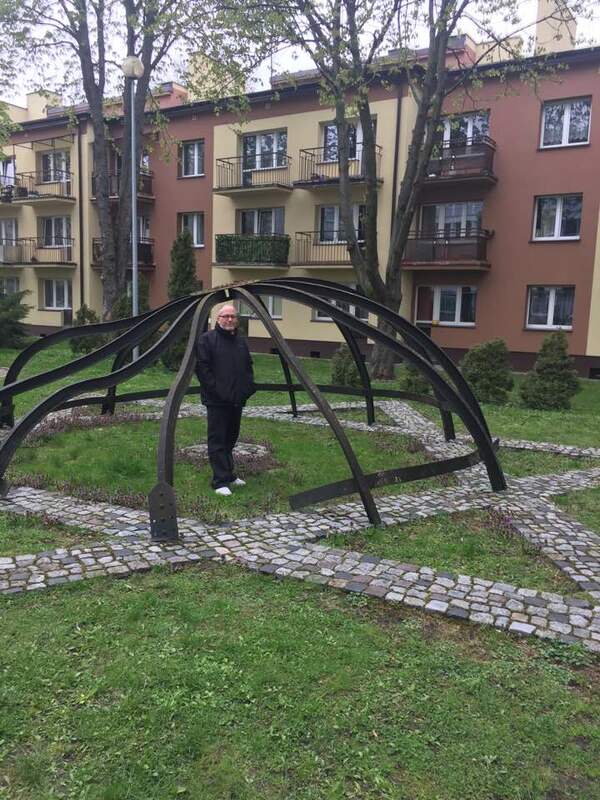 Should a Jew visit Bialystok? Yes, certainly, if you are interested in seeing these sorts of things. The restaurants are extremely cheap and good, the people friendly, the town square is lovely and there are numerous festivals that add lots of charm to the city. (We stayed in an excellent AirBnB BTW that was steps from all the major center-city attractions.) But be prepared to look long and hard to find the evidence of the past that connects our shared heritage.